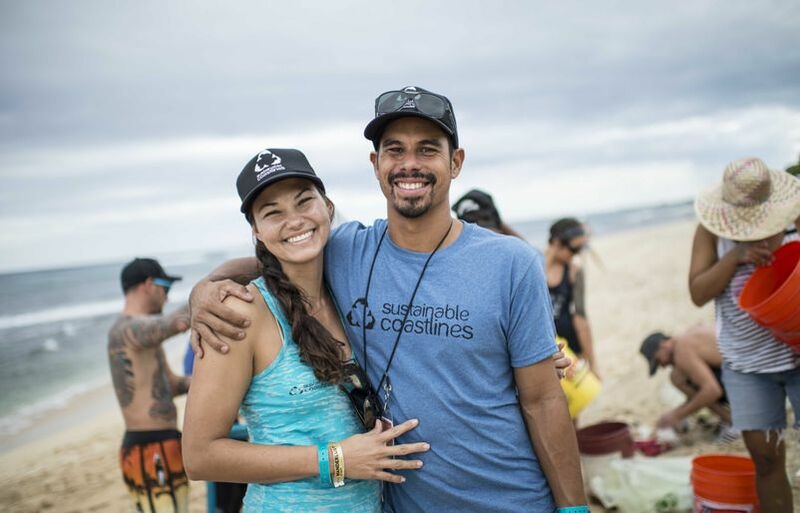 Kahi Pacarro, executive director of Sustainable Coastlines Hawai‘i, co-founded the nonprofit organization with six friends and his wife Louise Pacarro, a Hawaiian Airlines flight attendant. 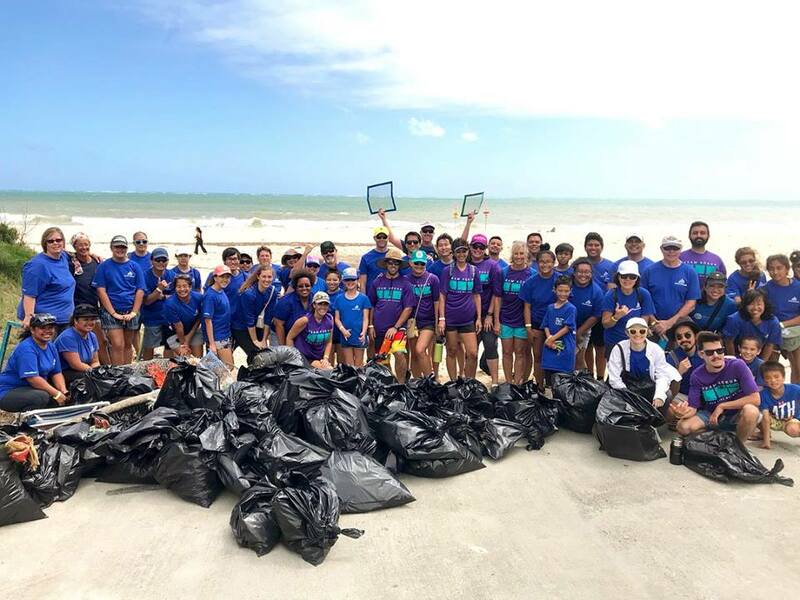 Together, they host the biggest coastal cleanups in the state to educate local communities about the impacts of plastic pollution and show how we can all play a role in protecting the ocean that gives our islands life. Kahi Pacarro, executive director of Sustainable Coastlines Hawai‘i, co-founded the nonprofit organization with six friends and his wife Louise Pacarro, a Hawaiian Airlines flight attendant. Hawaiian Airlines has been a dedicated supporter of Sustainable Coastlines Hawai‘i since 2015. We’ve provided more than 100 flights to transport their team to some of the hardest hit coastlines around the state. To share their story, we asked Kahi to give our readers an inside look at the problem of plastics, micro-plastic specifically, and how they harm the food chain. It was dark, overcast and borderline stormy. 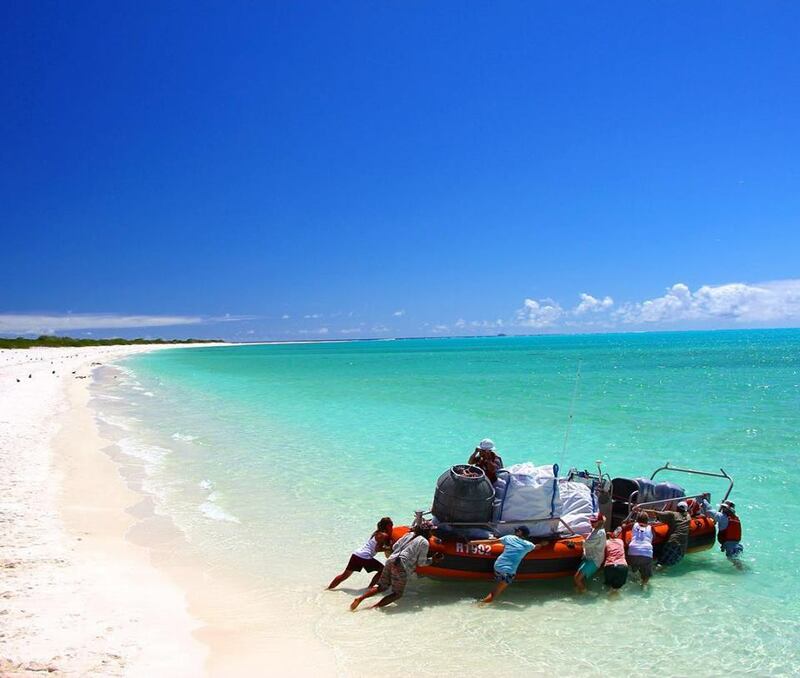 I stood there looking out at the turbulent whitewash hunting for a peaky sandbar to surf. The strong onshore winds combined with a full moon high tide provided the premier conditions for surfing this fickle spot, but it was the mix of these variables that also brought a larger than normal and constant flow of multicolored, confetti-like fragments to the beach. The tiny pieces of plastic pollution, called micro-plastics, are the result of society’s overuse of plastic, and with a new batch coming in with every wave, the high-tide line looked like a kaleidoscopic snake. 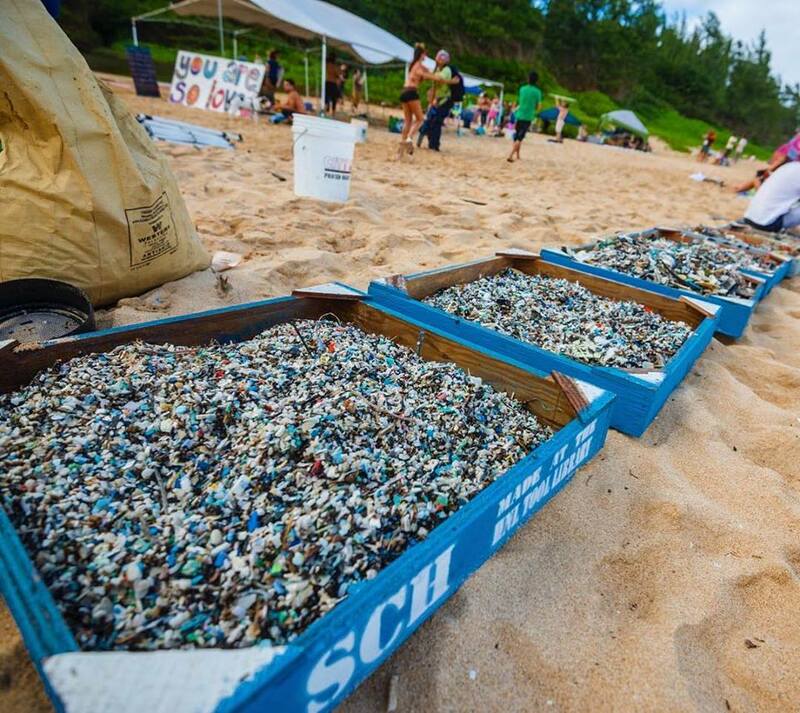 Micro-plastics are plaguing every Windward (east-facing) beach in Hawai‘i, from the most southern point of the Hawai‘i Island and all the way to Kaua‘i. Their impact is profound and extends beyond the major islands into the Papahānaumokuākea Marine National Monument up to Kure Atoll. All the plastic we use – regardless of how we dispose or think we recycle it – has the chance of making it into the sea. Once in the ocean, the sun photodegrades it, making it brittle and, throughout this process, releasing climate-changing gases like methane and ethylene into the atmosphere. The lipophilic (fat-loving) nature of plastics causes them to attract and absorb persistent organic pollutants (POPs), like oil-based fertilizers, gasoline, motor oils, pesticides and more. This process is like when you put your spaghetti leftover in a plastic Tupperware; the red stain left on the container from the sauce is almost impossible to get out. That’s because the oil in the sauce is bound with the plastic container. When fish eat micro-plastics or other larger pieces, the POP’s can transfer from the plastic into the fatty tissue of fish. As those fish are eaten by larger fish, the toxins become increasingly concentrated and biomagnify up the food chain until those fish hit our plates. 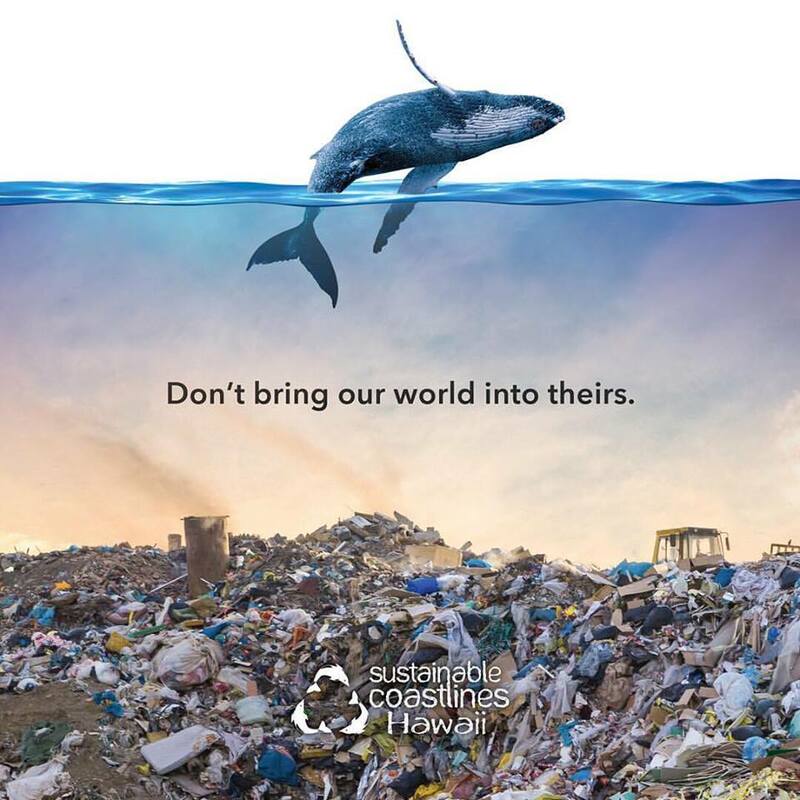 As co-founders of Sustainable Coastlines Hawai‘i (SCH), we are constantly working to educate consumers from around the world about the impact of their purchases. We inspire local communities to care for their coastlines by hosting super fun, huge coastal cleanups, offering free educational programs, hosting team-building cleanup events for corporate companies, providing waste diversion services for events, and helping others start their own eco-events. We’ve also extended our reach, teaching coastal communities beyond our shores on how they can protect their oceans through our social media campaigns and most recent SCH West Coast Road Trip. However, Louise and I didn’t grow SCH overnight. Our organization started in 2010 as an idea with six friends at our living room table and soared to greater heights with the help of thousands of passionate volunteers and a handful of dedicated local companies like Hawaiian Airlines. Hawaiian Airlines has been integral in our ability to get this message out across the state by providing the resources we need to get from our home base in Honolulu to Hawai‘i Island, Maui, Moloka‘i, Lāna‘i, and Kaua‘i. By providing manpower and donating flights to our crew, we’ve been able to execute cleanups and educational outreach involving thousands of local residents and visitors. Last month, we helped over 700 employees from Hawaiian Airlines and Bank of Hawaii remove 6,240 pounds of debris from the coastline between Makapu’u and Bellows. The main culprit was plastic in the form of common throwaways (toothbrushes, single-use utensils, water bottles, etc. ), scattered piles of micro-plastic and still-identifiable remnants of the commercial fishing industry (nets, buoys, oyster spacers, etc.). Hawaiian Airlines teamed up with Bank of Hawaii and SCH for September's International Coastal Cleanup Day. This photo was taken of the crew and the trash they collected at just one of several beaches that line East O‘ahu's coastline. 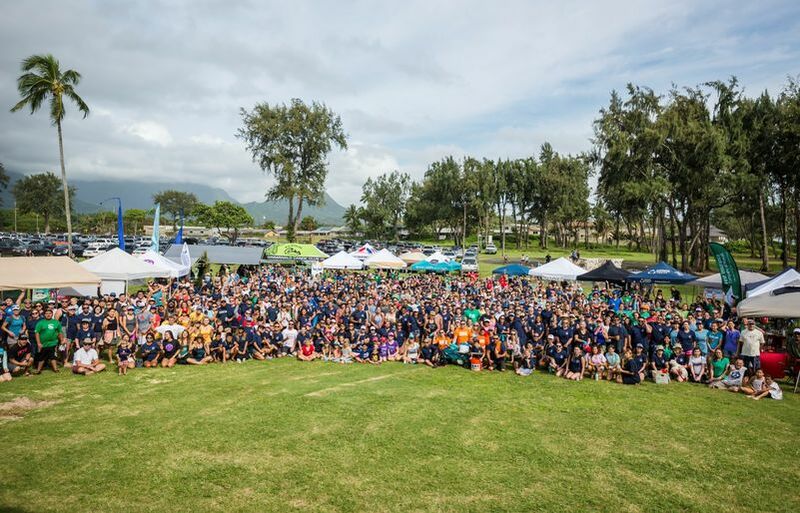 Our organization is proud of the work that we have accomplished, including removing (thus far) 416,968 pounds of trash from our Islands’ coastlines, thanks to the help of 23,871 volunteers and Hawaiian Airlines’ sponsorship. We’re even more stoked to know that we’ve engaged more local youth this year than ever before. By year's end, we will have given our educational presentation to over 10,000 students across the state with almost half of those in underserved communities! Being able to fly on Hawaiian Airlines and return to these coastlines year after year makes a difference. We’ve created a statewide ‘ohana. Communities look forward to our return and we can’t wait to get back. The upwelling of support for cleaner coastlines across the state is humbling and what is needed to sustain our coastlines. 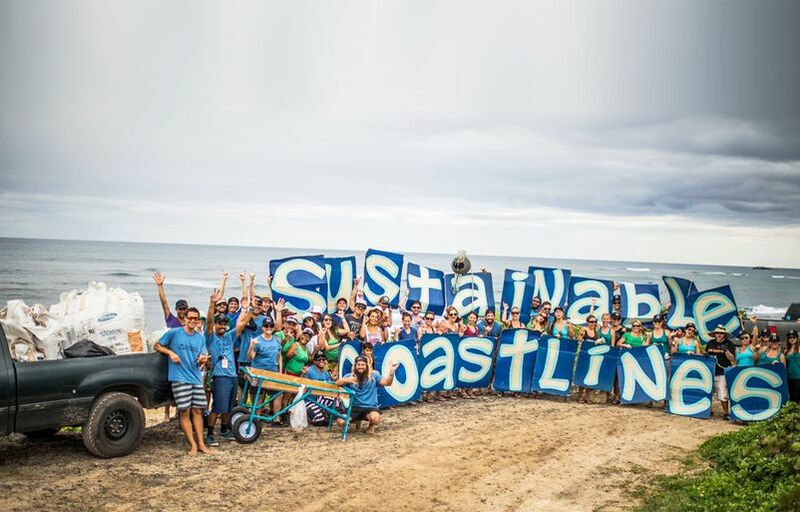 For more information about our organization and how you can get involved on your next free weekend or trip to Hawai‘i, please visit www.sustainablecoastlineshawaii.org. 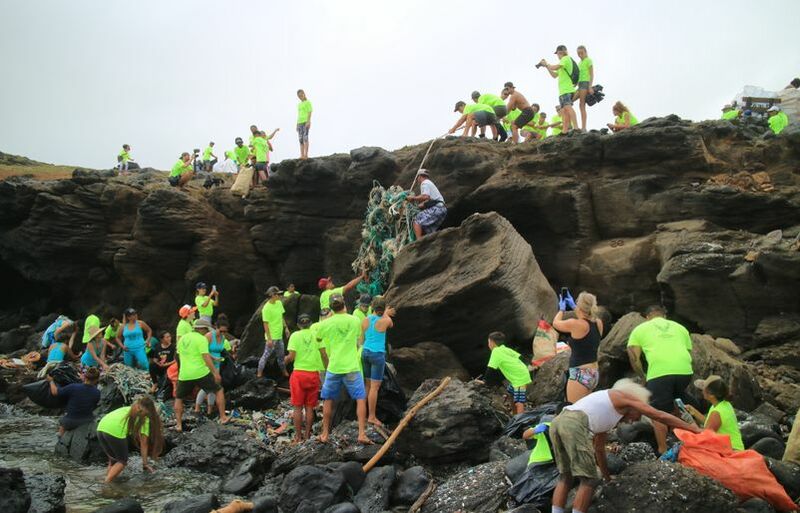 417 volunteers removed 45,000 pounds of debris from Moloka‘i. The trash was sent to O‘ahu to be recycled and burned for energy. 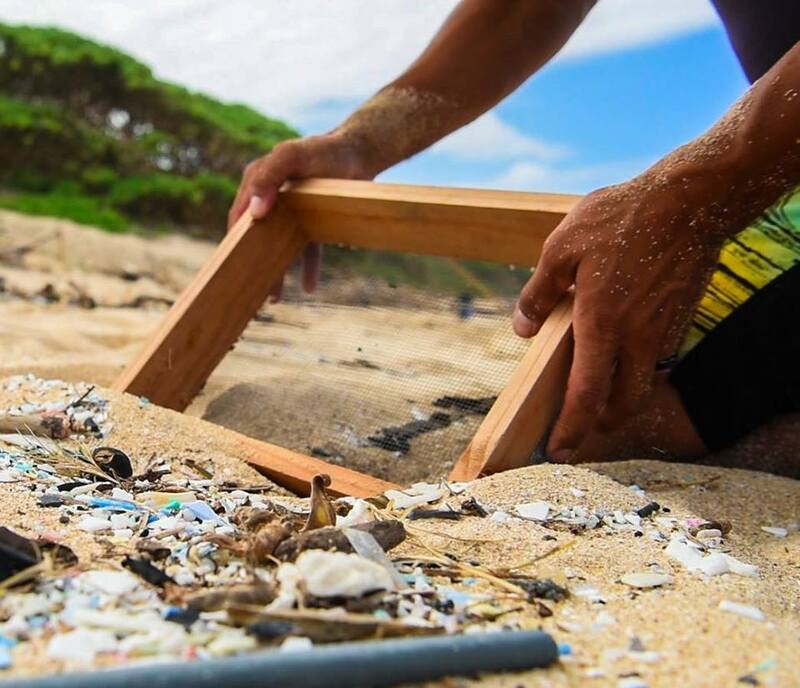 1,548 volunteers removed over 7,000 pounds of debris from the Waimānalo coastline. 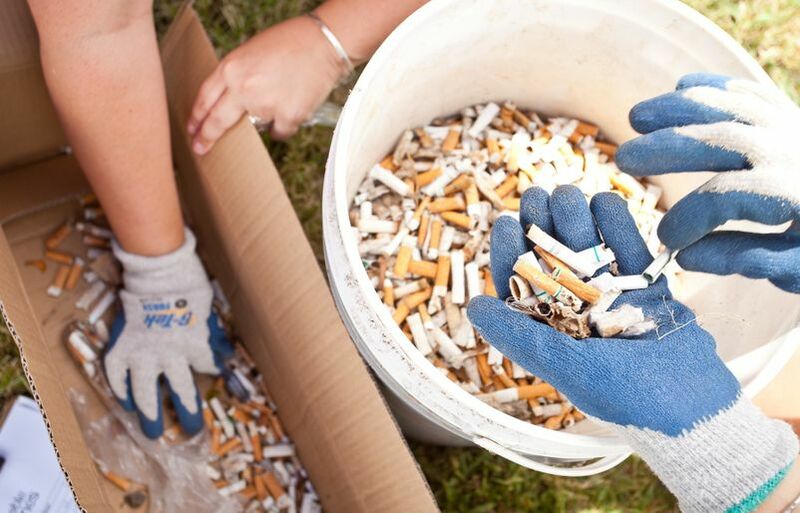 185 volunteers removed 3,300 pounds of garbage and marine debris, including over 2,000 cigarette butts from Kaka'ako, located just outside of Downtown Honolulu.